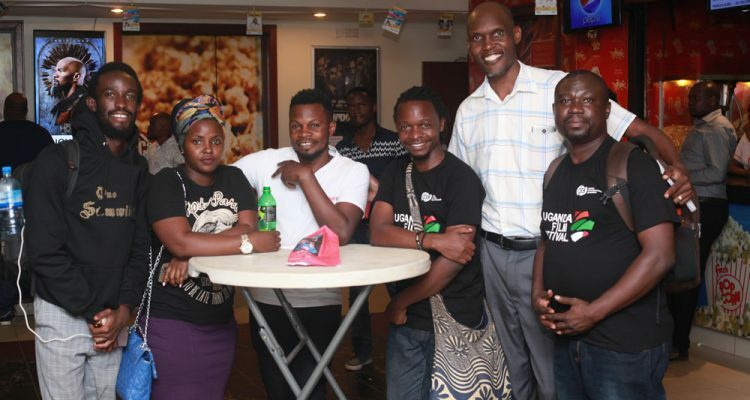 Bella, one of the most nominated films at this year’s Uganda Film Festival, screened at Century Cinema on Tuesday as part of the festival programme almost a year since it first premiered at the Kampala Serena Hotel and about six months since it had its month-long cinema run. The film stars dancehall singer Cindy in her very first acting role, and she did not just put on a spirited performance that will likely open up more doors for her but she also helped to sell the film thanks to her huge popularity. Bella is a simple Cinderella story, in fact, besides meeting a prince charming, it is a mirror of many rugs to riches tales just that this particular one was sold with a musical string to it. It tells the story of a girl named Bella that leaves the village after her impossible father (Abby Mukibi) has allegedly killed her mother during a fight. Along with another child, they jump onto a truck to the city whose streets become their home until they are separated by the death of the latter. Bella soon grows into a woman on the streets, going around asking for food and at times singing for it. It is a well-told story that at times suffered common Ugandan problems of forgetting its said theme. But regardless of how the story kept wondering, the constant things about Bella was a fact that Cindy was amazing, she managed to make the audience forget her pop star self to appreciate and buy the emotions of Bella. “I received the script almost a year before we started shooting, I read it and understood it,” she had earlier told tsupug.com during an interview last year. “But I was still intimidated by the cast, these were all professionals and yet I was supposed to be the lead,” she recalls. The film’s strongest point is the brilliant photography that was executed by actor-turned-photographer Pryce Joel Okuyo and of course the strong cast that features Simon Kalema, Stella Nantumbwe, Roger Mugisha and Judith Heard among others. Bella is nominated for Best Actress, Viewers’ Choice Awards, Best Feature Film and Best Director among others. Much as many expect Veronica’s Wish to top the awards night, Bella is a dark horse that could pull off as many surprises, including the Best Actress gong.